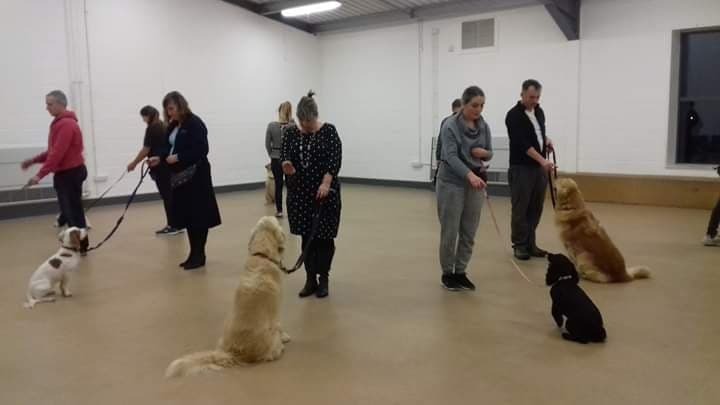 Our most common classes are those dedicated to training your dog to behave in normal, every day life. These obedience classes are known for being helpful and approachable, with a friendly community of dog lovers and experienced trainers. Whether it's a puppy or an adult, we have something for any kind of dog! Puppy and Beginner Classes focus on teaching your dog to listen to you. We believe the earlier you start training your dog, the more effective your training will be. However, it's never too late to teach your dog something new, and there's always something to learn. ​Our classes age restrictions are set in place to be a guideline for the kinds of things you should expect to see in class, but we can help with any kind of concern you may have regardless of your dog's age.